This channel many timed discussed about growing small onions, shallots using it’s waste or small portions. 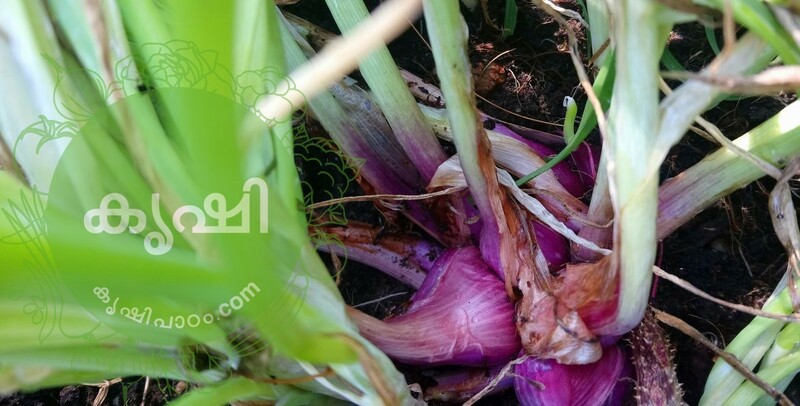 usually we can dumping it’s into waste bin, next time please follow this and you can eat organic onions.take a grow bag or container, make a potting mixture with soil and rotten cow dung etc. you can also add bone meal, neem cake , vermi compost etc for making a fine quality potting mixture. fill the mixture in grow bags or containers, fill upto 60% of the bag. then spread onion waste over it.you can also add onion peels along with this, no need to take it out. it will become a fine fertilizer within short period. now add a small layer of potting mixture over the onion. watering regularly, remember to limit the amount. large amount of watering may spoil it, within 2-3 months you can collect the output. it’s real method is using seeds, but we can also experiment this to get organic shallots. fertilizers – our potting mixture is already having enough nutrition’s for the plants, but you can add rotten cow dung, ground nut cake etc monthly. spring onion is a bonus from this, drop your comments and subscribe fro more posts.